Over the weekend, Capcom announced their plans to bring Breath of Fire II to the Wii U Virtual Console. Capcom excitedly shared the news that fans can expect to see the classic Super Nintendo turn-based RPG on the Wii U in the coming months via the Nintendo eShop. This is obviously not the first re-release of the Breath of Fire II, with the game being ported to the Game Boy Advance in 2002 and appearing on the Wii’s Virtual Console in 2007 – still, it is good news! Japan recently received news that Breath of Fire VI is in development for PC and mobile devices, but there is no word as of yet regarding such a release in the West. Hopefully the aforementioned re-release with satiate Breath of Fire fans’ appetites until we hear more about the new entry in the series – the game headed to 3DS or Wii U would make many a person happy, I suspect. Check out the Breath of Fire II Virtual Console trailer above. The classic side-scrolling beat’em up Double Dragon II: The Revenge was released on the Japanese 3DS eShop this week as part of the handheld’s Virtual Console service. 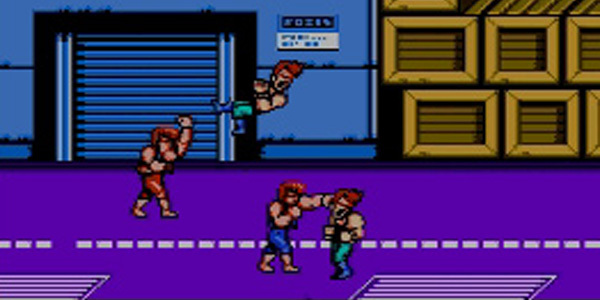 Released for the Famicom in 1989, the home version of Double Dragon II differs greatly from its arcade counterpart – featuring different level design, additional story sequences, a different final boss and a different ending. The Virtual Console release supports Download Play, allowing two players to play co-op with a single copy of the game, and will set you back 500 yen. 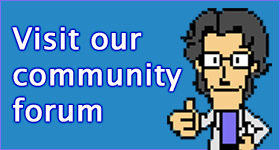 We hope to see the game outside of Japan in the near future. After a surprisingly long delay and a couple of months of teasing with a trickle of cheap releases, Nintendo has finally launched the Virtual Console service on the Wii U.
Arguably the best thing about the Virtual Console service on the Wii U is the off-screen play ability through the Wii U gamepad. Also, European and Australian versions will be the 60Hz versions except where a game was previously optimised for PAL release. There are a few downsides, however. One, only eight games are currently available: Balloon Fight (NES), Donkey Kong Jr. (NES), Excitebike (NES), Ice Climber (NES), Kirby’s Adventure (NES), Punch-Out!! (NES), F-Zero (SNES) and Super Mario World (SNES) in the US, while Europe and Australia switch out Kirby for the Japanese version of Super Picross and lose Balloon Fight – far fewer titles than were available on the Wii Virtual Console launch. Two, you’ll have to pay for games you bought on the Wii – you will get a discounted price on the conversion to make up for it. Finally, it looks like Nintendo is still planning to drip feed releases – no plans have been revealed for the previously announced Game Boy Advance support, or the rumoured GameCube support. 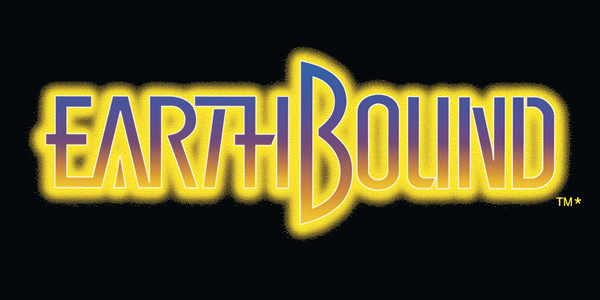 After many years and many requests from western audiences, Nintendo has finally announced a re-release of the classic RPG Earthbound. Earthbound, or Mother 2 in Japan, saw a release in North America in 1995 on the Super Nintendo and has since become one of the most sought after video game releases – with a cart only copy of the title currently fetching US$150+ on eBay. 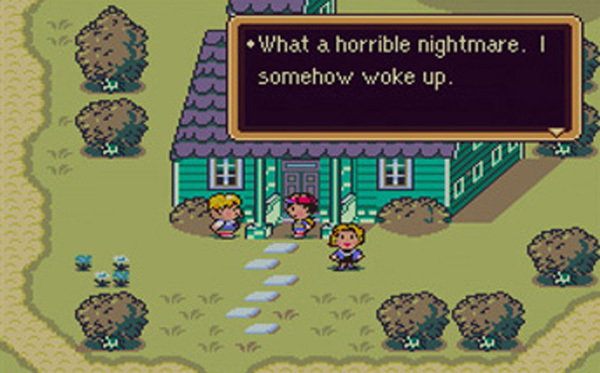 When Nintendo announced Mother 2‘s presence in Japan’s Wii U Virtual Console Trial Campaign line-up, fans cried out even louder for a re-release in the West. Lucky for us, Nintendo heard our pleas and have responded – with Mr Satoru Iwata happily announcing the games release during the latest Nintendo Direct. Expect to see Earthbound available to download on your Wii U thorough the Virtual Console service sometime this year – in both North America and Europe. Hooray. 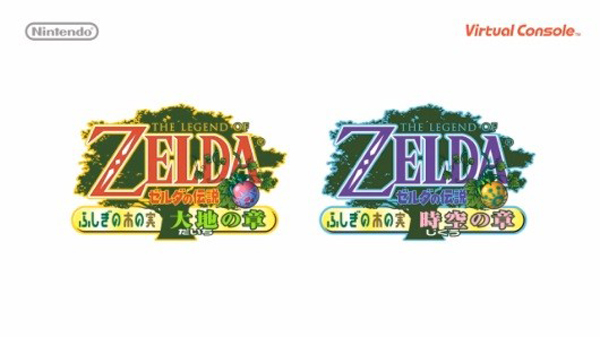 In their most recent Nintendo Direct event in Japan, Nintendo announced that both The Legend of Zelda: Oracle of Seasons and The Legend of Zelda: Oracle of Ages are set for release on the 3DS Virtual Console in Japan. The two Zelda Game Boy Color titles were original released on February 27, 2001 in Japan, and made their way to the west later that year. The 3DS Virtual console versions also release February 27 and are priced at 600 yen a pop. Up until March 20, players can purchase both games for the discounted price of 1,000 yen. We suspect The Legend of Zelda: Oracle of Seasons and The Legend of Zelda: Oracle of Ages will too be available in North America and PAL regions in the near future. One of the major complaints about the PAL version of the Virtual Console has been that we get PAL versions of games on it. Before the wondrous days of multiformat television, video games used to be converted from NTSC to PAL, often poorly. The end result was usually a game that ran approximately 16.7% slower, and had black bars on the top and bottom of the screen to fill up the extra lines of resolution that PAL has over NTSC. Now that we’re on HDTV, the PAL and NTSC standards are history, but Nintendo insisted on releasing 50hz versions of games on the WiiU. It appears with the imminent release of F-Zero (due today for only 30 cents! ), Nintendo has changed their tune, offering the full screen, full speed version of the classic futuristic racer. Whether this is a once off remains to be seen. 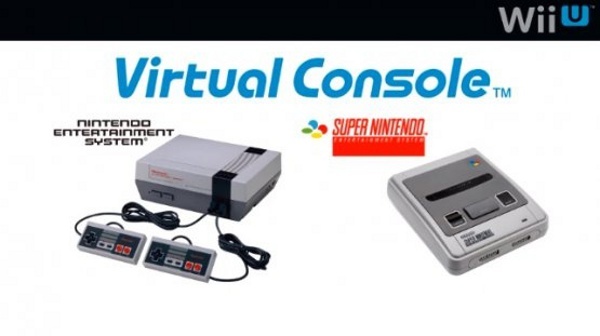 In January’s Nintendo Direct video conference earlier in the week, Nintendo detailed their plans for the Wii U version of the Virtual Console service. 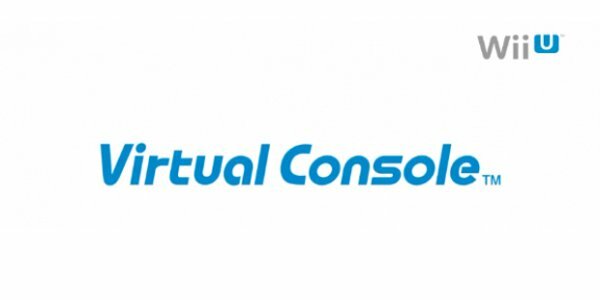 The Virtual Console service will launch on Wii U after the Spring (our Autumn) update. Initially only games for the NES and SNES will be released, but plans were announced for the Game Boy Advance to join the line up in the future. Titles are being re-coded for the Wii U VC, with new features like save states being added. However, the downside of that is that you’re going to have to buy the games again. Nintendo did announce a program whereby you’ll be able to get a discount on the Wii U version of a VC title if you’d bought it on the Wii – which is a better outcome than most expected. For the US, it ends up that you’ll be able to convert to the Wii U versions for $1 for NES games and $1.50 for SNES games. No word on local pricing. In addition to being able to play on the Wii U GamePad, Wii U VC titles will support the Classic Controller and Pro Controller. 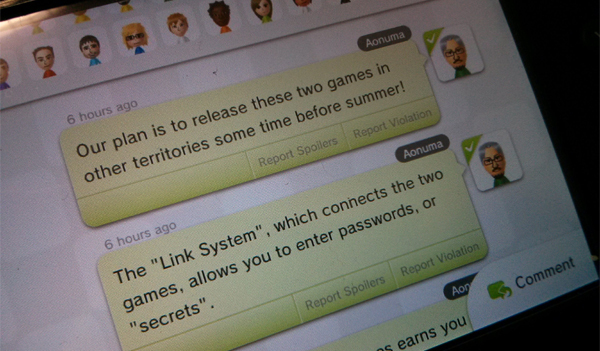 Apparently VC titles will be among the first two support two Wii U GamePads. To whet your appetite, Nintendo are releasing a game a month at a heavily discounted price. Balloon Fight is the first game up, and it’s just 30 cents. That’s cheaper than a McDonald’s cone! F-Zero will follow in February, Punch-Out!! in March, Kirby’s Adventure in April, Super Metroid in May, Mario & Yoshi in June and Donkey Kong in August.